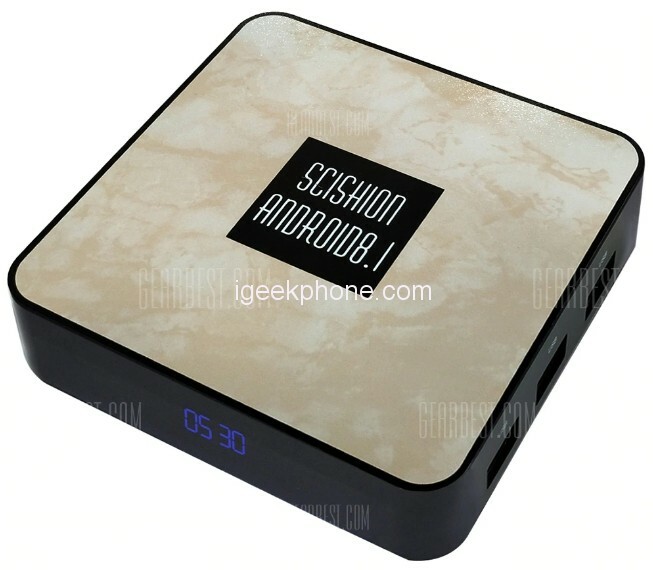 Scishion RX4B TV Box makes your television a mid-powerful Android smartphone-like device. It features an RK3328 Cortex A53 quad-core processor which is a 64-bit CPU, this chipset is generally found on a mid-range/ low-range smartphone from various vendors. The most amazing thing is its RAM, it features a 4GB DDR3 RAM which is as powerful as a flagship-like smartphone. This huge amount of RAM is perfect for multitasking, you will be able to easily use the Internet, watching movies, youtube videos etc concurrently with this amount of RAM. Scishion RX4B won’t disappoint you. Because it has a small square shape of 10 X 10 X 1.70 cm/ 3.94 X 3.94 X 0.67 inches (L X W X H) which is smaller than most of the tv box in the market. The edge is rounded which makes it a cool looking device. The whole package comes with a size of 17.50 x 13.50 x 6.40 cm / 6.89 x 5.31 x 2.52 inches (L X W X H) which is not that large. It is available in black, silver color. Compact plastic case 100 per 100 mm, height 17 mm, on the front face is equipped with LED display. The corners of the body are rounded, and from the bottom, there are rubberized legs. 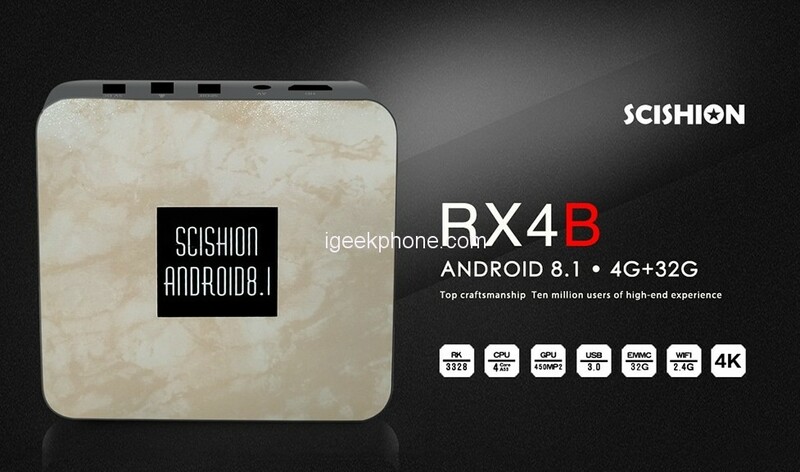 Scishion RX4B TV Box makes your television a mid-powerful Android smartphone-like device. It houses some good quality hardware. This TV Box features an RK3328 Cortex A53 quad-core processor which is a 64-bit CPU. This chipset is generally found on a mid-range/ low-range smartphone from various vendors. The most amazing thing this tv box feature is its RAM. 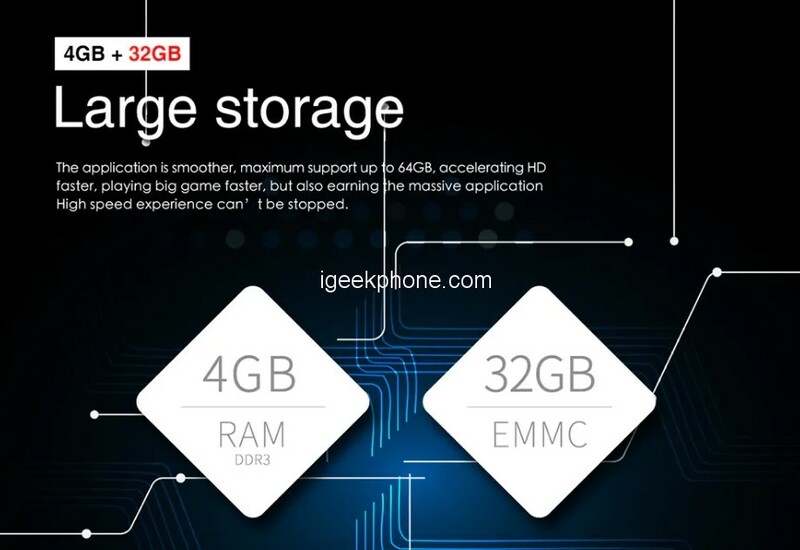 It features a 3GB DDR3 RAM which is as powerful as a flagship-like smartphone. Who won’t like this amount of RAM? This huge amount of RAM is perfect for multitasking. You will be able to easily use the Internet, watching movies, youtube videos etc concurrently with this amount of RAM. This tv Box features a Mali-450MP2 GPU which is generally seen on a low budget smartphone. In this section, this TV Box could do better. But with this GPU, you can watch 4K videos and play mid-range 2D or 3D games quite comfortably. 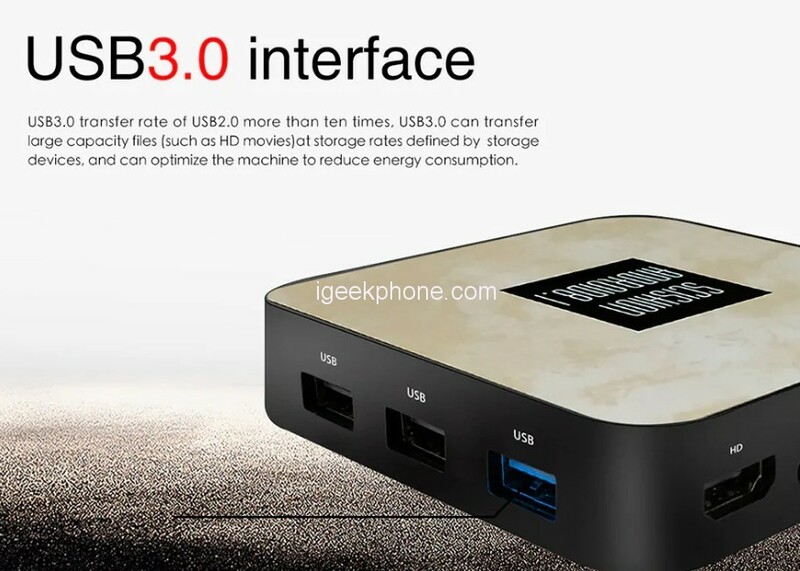 In this TV Box, you will get 32GB of ROM for installing application and storage. But don’t get upset. It features a dedicated micro SD card slot which can be expanded up to 64GB. This amount of storage is quite enough for installing your required applications and storing files. Scishion RX4B makes your TV a smartphone with a giant screen. Most of the people nowadays in the world are using a smartphone for surfing the Internet. You don’t need to worry about this with this device. RX4B features 2.4 GHz WiFi band and Ethernet port which can give a speed of up to 100Mbps. So, we hope, you will be able to surf the Internet, use Facebook, watch videos on Youtube, or live stream movies and videos quite comfortably. It’s one of the most important parts is that it runs on Android latest version Android 8.1 (Oreo). So, you will get more security and the latest features of Android. It is a 64bit system It also supports all the general languages including English, Arabic, Mandarin, Spanish, German, French etc. So, you will not face any language issue with this device. RX4B did a great job in this section. It has almost all the important peripheral interfaces in this small size box. It has a USB 2.0 and USB 3.0. USB 3.0 is more speedy than USB 2.0 (10 times faster). So, it is a good thing about this device. You’ll also find interfaces like AV, DC 5V, HD, RJ45, SPDIF in this device. Next Article Xiaomi Mi 9 Is Close: This Flagship Is a Worthy Rival For the Galaxy S10?